Nara Rohith’s Tuntari film, which was initially planned for March 4th release, is now arriving to big-screens on March 11. Kumar Nagendra, who earlier directed Gundello Godari and Joru movies, donned the director cap for Tuntari. 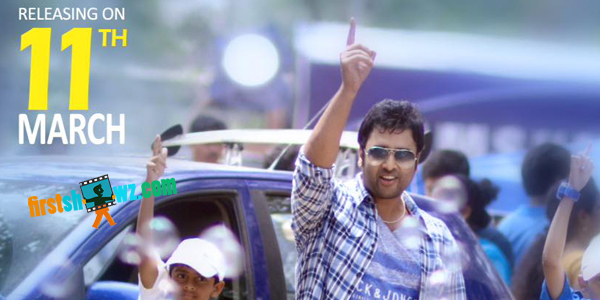 Tuntari is the official remake of Tamil Hit Maan Karate, and Latha Hegde paired opposite Nara Rohith in the movie. Kabir Duhan Singh played a crucial role. Produced by Ashokbaba and Nagarjun under Sri Keerthi Films banner, Tuntari has story by AR Murugadoss, cinematography by Palani Kumar, music by Sai Karthik and editing by Madhu. Nara Rohith plays boxer in the movie, and the trailer has already raised the expectations among movie lovers. Let’s wait to see what Tuntari team has in store for us.